Situated off the Bay of Bengal on the Coromandel Coast, Chennai is the sixth largest city in India. Established around 1639, it is one of the largest economies in India. There are some best places to visit in Chennai for sightseeing & attraction. Formerly named as Madras, the name is said to have originated from the famous phrase in Portuguese “Mae de Deus”, meaning “Mother of God”, as the city being influenced by Portuguese. Other sources suggest the name being derived from a nearby village named Madraspattinam. The name finally arrived to be called as Madras, only to be changed to Chennai in 1996. Located on an average city elevation of about 6.7 m, the city is located in the south-eastern coast in India and has a population of more than 8 million people. The culture of Chennai is an eccentric mixture of history and future. Music Season, a five week long cultural music festival, is identified as one of the largest cultural music festivals in the World. The theater culture of Chennai has a long history of amazing artists, who throughout the years have been successfully performing varied genres, ranging from political satire to mythology. Kollywood, the Chennai based Tamil film industry produces about 100 Tamil movies every year. Famous for its Beaches and Monuments, Chennai has everything a tourist can wish for. The city witnesses arrival of tourist from all around the world including people from United States and United Kingdom to Malaysia. The Marina Beach and Elliot’s Beach are two of the most famous beaches in India. With the former being as long as 15 km along with gardens and walkaways by its front. Chennai has about 396 parks, as of December 2014. Amongst all the major attractions, Mahabalipuram, a UNESCO World Heritage Site, stands out of all as being famous for its Temples and monolithic sculptures. Comprising of some complete and some incomplete sculptures, it is clearly signified that the place was a school for sculptors trying to learn the art. Important monuments in Mahabalipuram include the Thirukadalmallai Temple, which was built by a King of Pallava Dynasty to assure the safety of sculptors from the waves of ocean. Other famous temples include the Shore Temple and Varaha Cave Temple along with the famous Pancha Rathas, a structure of five monolithic pyramidal structures. What makes these Rathas more special is the fact that despite being such big monuments they are carved out of single stone pieces. The city also has Museums including the Chennai Rail Museum, which houses many historical exhibits of Indian Railways. 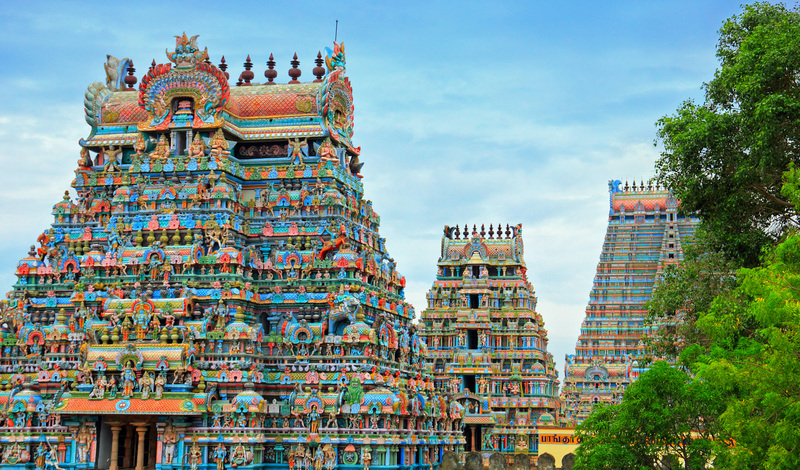 Some of the famous temples in the city include the Kapaleeshwarar Temple, Vadapalani Temple and the Parthasarathy Temple. Popular as the smallest National Park in India, the Guindy National Park is spread across an area of 2.67 km². It hosts different types of endangered species of Deer, Snakes and Monkeys. Another National Park in Chennai is the Arignar Anna Zoological Park, which also provides Lion Safari and Elephant Safari as well. Other attractions include the San Thome Basilica, Ripon Building along with and Fort St George, the first fortress in India constructed by the British and many more. Also known as ‘Detroit of Asia’, the city is base to around 40% of India’s automobile industry. It is also famous for its Medical tourism. Tourism is well managed due to the large number of Hotels in City which are easy to book with Frotels. Frotels avails a wide variety of Luxurious as well as budget Hotels with customer friendly options of Full day as well as Hourly booking for Transit or economic stays. The city has one of the busiest Airports in India and is also the headquarters of the Southern Railway. It is also connected to other major cities by the Golden Quadrilateral system of National highways.